Alarming. Chilling. Supernatural. Creepy. Formidable. Ghostly. If you love to get scared each Halloween, this list will guide you to horrific Halloween haunts. Put on your big-kid breeches and hold on tight. 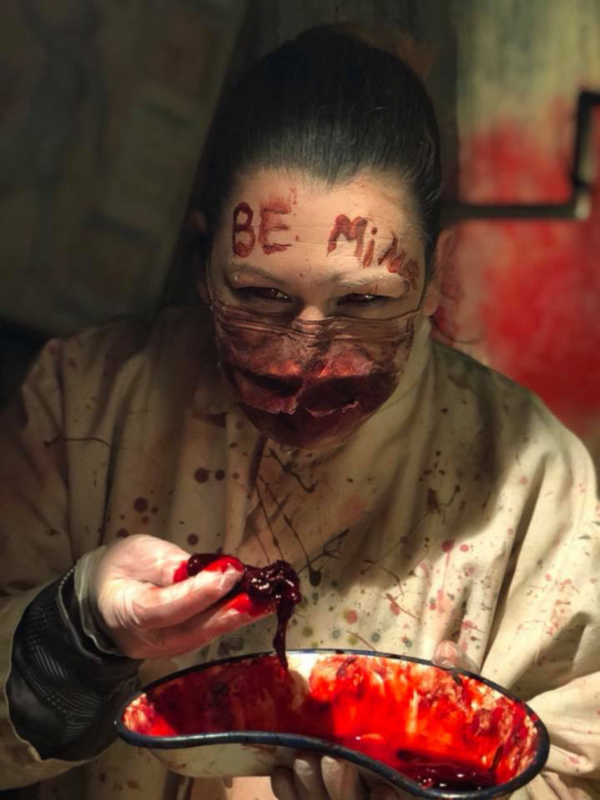 This half-mile adventure introduces you to the insane, murderous employees of the Dead and Breakfast, quite possibly the scariest guest house in town. The tour takes about 30-40 minutes, and with a $5 upgrade you can amp up the fear factor. This attraction, in its 12th season, promises visitors a “frightfully good time” to undoubtedly scare your hair straight. 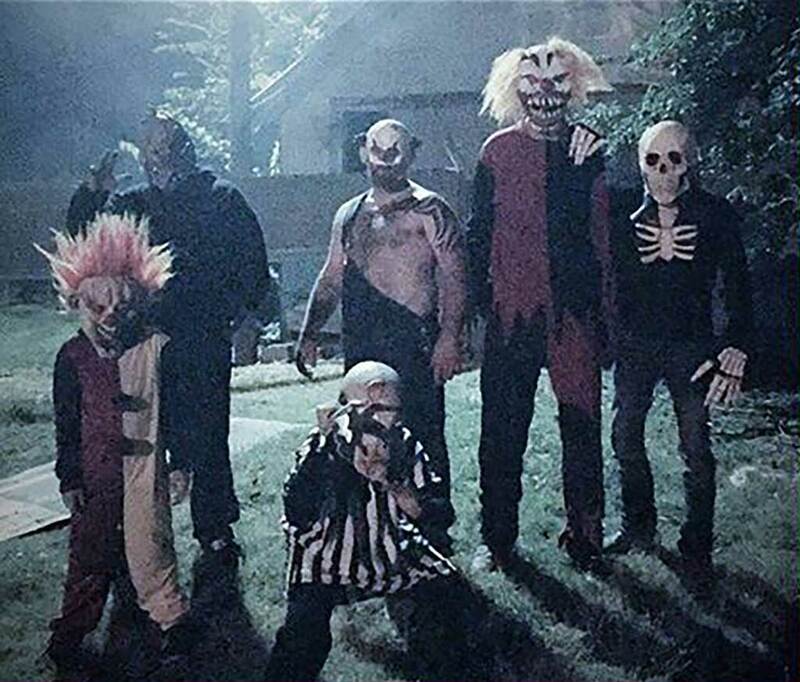 The Manor boasts over 4,000 square feet of terror-inducing rooms: Toxic, with mutants, monsters and zombies; Carnevil of Fear, with Dr. Sinister and his minions; The Manor with Dr. Merrifield and his victims; and the Weepingville Asylum and its grounds. All impose spine-tingling, bloodcurdling fears on visitors. The mill has two extreme attractions for one admission fee. 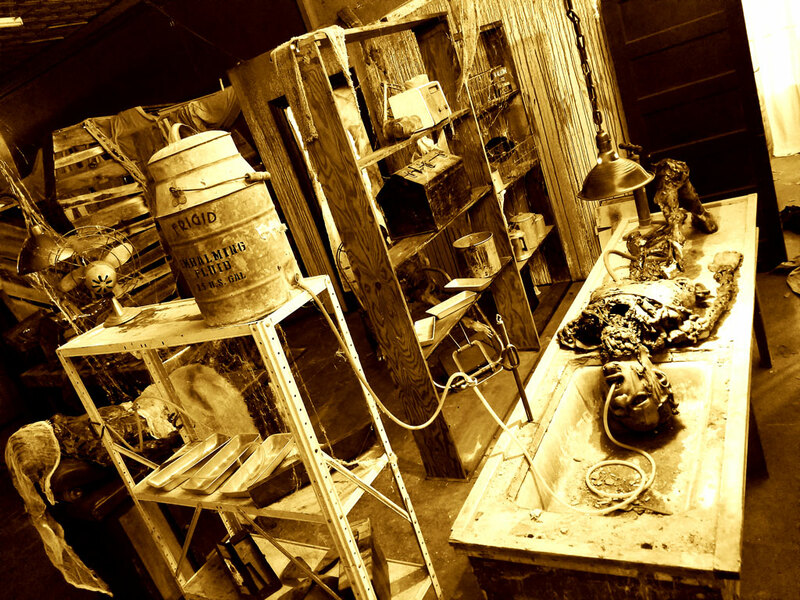 The Grind House and Lost Cabin take visitors on bizarre, hair-raising adventures – not for the faint of heart. Carpenter’s Mortuary Spook House, Gentry, Ark. 136 E. Main St., Gentry, Ark. 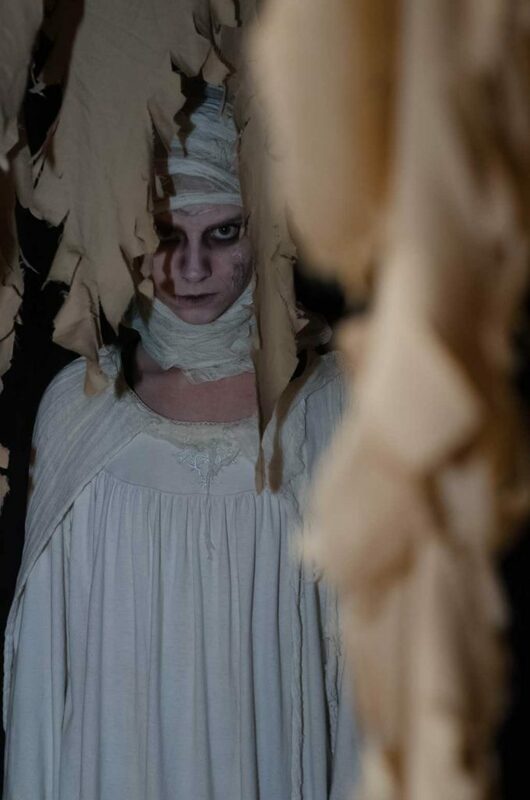 Located in an 88-year-old building that once housed Gentry’s mortuary and a chapel, this haunted adventure immerses you in terror, thrills and chills – but only for victims … er, uh … guests 13 and older. Ride a cow train, go on traditional hayrides, experience the Haunted Hayride, play in the sandbox, wander through a pumpkin patch and get lost in the corn “maize.” This one is definitely family friendly. This 14,000-square-foot haunted attraction has many rooms of pure torment inside, plus other terror-inducing scenarios outside. Come if you dare. 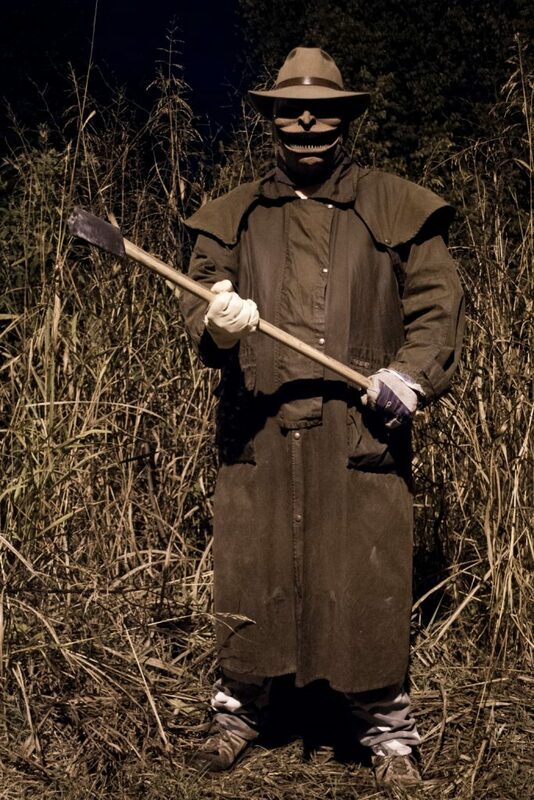 This family-friendly extravaganza features 11 haunted attractions, including Domus Horrificus, Casa Morte, the Zombie Hunt, a torture chamber, hayrides, the Trail of Blood and a train ride, along with the Haunted Village, shops, pubs and loads of entertainment from mildly frightening to seriously scary. Hex House and Westside Grim are not typical haunted houses; there are no barriers between you and the terror around you. You are grabbed inside the attraction … and no mercy is shown to the frightened. Enter at your own risk. See if you can escape the Widow’s Web, survive Camp Carnage or end up as another victim buried in Eternal Slumbers Cemetery. 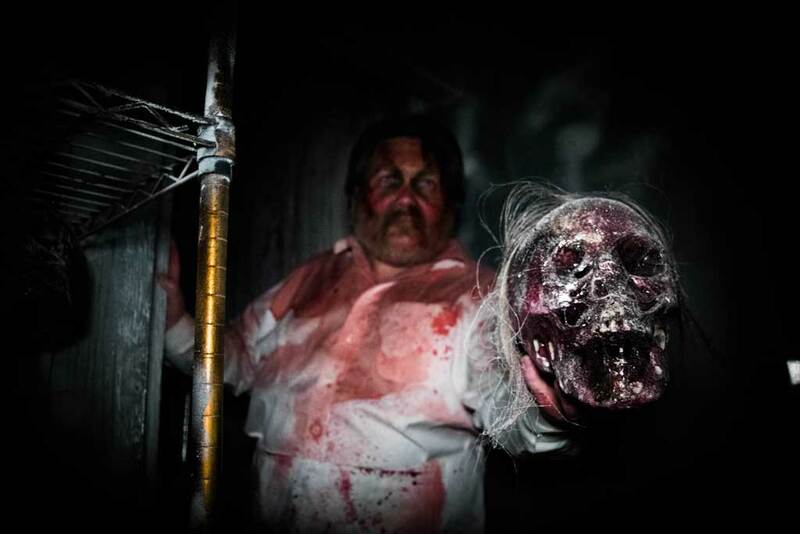 If you can’t slay the walking dead (with paintballs), you might leave your brains behind on the Zombie Hunt. Come to find out. This is the world’s only Porta Potty maze – frightening enough on its own, but with a Spooky Dooky Baby Clown to throw a wrench in your haunted evening. As you walk through a creepy, abandoned airport, you see eerie creatures – except in the pitch-black tunnel. Then you just squeeze your eyes shut, hope there’s nothing there and try not to scream. Edge close to insanity at this spooky attraction. State-of-the-art special effects only heighten your fright as you get stuck inside a horror movie with no escape. 7-11 p.m. Fridays and Saturdays in October, plus Oct. 19 and 26 from 7 to 10 p.m. The pale moonlight sets the scene for a viscerally frightening time, complete with three attractions: the Dark Ride, which includes 20 minutes of scene-after-scene scares; the Shadowbox, where you venture into a haunted house; and Quarantine, where you and 17 others fight zombies with paintball guns. This graphic walk-through haunted attraction has a number of disturbing scenes that reflect real-life issues. Enter at your own risk. Take a trip to the haunted forest trail and try to avoid the terrifying tree gnome. Run from actors with chainsaws and enjoy the adrenaline-pumping action.